It pains me to write what I’m about to write, but sometimes you have to be honest and tell a good friend that they are headed in the wrong direction. So, Mr. Kinvara, I apologize for being critical. I know we’ve been through a lot together, but we need some time apart until you get things sorted out. @Runblogger have run in Kinvaras last 4 yrs…having issues at end of marathon with feet killing me…more cushion? any suggestions? @dougmt Kinvara 4 causing the trouble or earlier model? Could be width and not cushion. Turns out it was indeed the K4, and @dougmt indicated he’d not had similar problems with the Kinvara 3. My suspicion is that the issue was not cushioning, but squeezing from the sides due to the tight forefoot fit of the Kinvara 4. My wife has this issue with her neuroma – narrow shoes squeeze her foot and can cause numbness and tingling. The Twitter exchange reminded me that I’d never written a review of the Saucony Kinvara 4, and got me thinking about the shoe. My delay in reviewing them is simply because I have not run in them very much. And my reason for not running in them very much is that they are in my opinion a step back for the Kinvara line. I have a long history with the Saucony Kinvara. The Kinvara 1 was one of my favorite shoes ever, and I ran two marathons in them, including my BQ race back in 2010. The Kinvara 2 was just an incremental upper update, so pretty much the same shoe. Sacuony tinkered with the sole a bit for the Kinvara 3, adding a bit of rubber in a few spots to add durability, and the upper was once again reworked. I really like the upper of the Kinvara 3 – in my opinion it felt a tad roomier in the forefoot than previous models and let my toes move around more freely. Saucony Kinvara 4 – that material on the forefoot does not stretch! I wore a size 10 in each of Kinvaras 1-3 with no major complaints or issues. None were particularly roomy shoes, but fit was ok on me, and I found the Kinvara 3 to be most comfortable of the three iterations. I assumed the Kinvara 4 would be the same in terms of sizing, but after trying on my usual size 10 it was clear that something was different. The forefoot was tight and the upper had very little give – my toes felt squished together. I then tried a 10.5, and while it felt better, the shoe still felt like a toe scruncher. I ran in them a few times and the sole felt like a typical Kinvara, if a tad firmer due to the addition of their PowerGrid foam, but the comfort factor of the upper was a huge problem. The forefoot still felt tight and restrictive, and I can’t stand wearing a shoe that does not allow my toes freedom of movement. As such, I only ran in them a few times and they wound up sitting unused on my shoe rack. I dug out my pairs of the Kinvara 3 and 4 earlier today and tried them on, one version on each foot. Sure enough, the Kivara 3 in size 10 feels roomier and less constrictive than the Kinvara 4 in size 10.5. The fit of the Kinvara 4 is simply too tight up front for me, and it’s a shoe that I can’t run comfortably in. I really dislike the material that Saucony used to build the upper, it’s reminiscent of the original Nike Lunaracer which also had very little give. My take is that the Kinvara 4 is a step back for Saucony, and unless you have narrowish feet or don’t mind a lack of toe freedom they aren’t going to be a great choice. And durability is a potential issue for the forefoot upper. It’s a shame to see one of my favorite shoes suffer a setback like this. Even worse, I’ve heard that the Kinvara 5 is going to be quite different, more trainery, and frankly that scares me. The Kinvara is basically what I think a shoe should be – simple, lightweight, and relatively inexpensive compared to other shoes on the market. The progressive addition of technology tends to ruin shoes in my book – fix the upper and keep the Kinvara simple Saucony! My advice if you are looking for a Kinvara is to get a pair of the 3’s or wait until they update to #5 and hope that it doesn’t change too much from the winning formula of earlier versions. It looks like Shoes.com has a bunch of Kinvara 3’s still in stock for $90, with an additional 25% off with code 25sale (total comes out to $67.50). 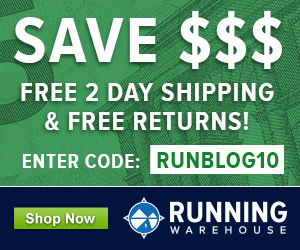 You can also still find a bunch of the Kinvara 3 in stock for $75 at Saucony.com. Both Saucony Virrata and Kinvara 4 have shown initial signs of wear very early on but keep going and i’ve found overall mileage to be perfectly satisfactory. I found this review interesting. I didn’t have the first version of Kinvara but I adored the first update with the more robust upper. I stock piled those and therefore I then skipped 3 and started using 4 about 6 weeks ago. I like it and find it much more versatile than Virrata. I’ve also taken the same size as normal, US10, and much as I dislike a shoe with a pointed toebox I’m very happy with the fit. However, as I say I can’t compare to Kinvara 3. IT’s going to be totally individual I think, probably a lot to do with foot width. The K4 just doesn’t play well with mine. I’m off to find some Kinvara 3s though. For years I thought update = better. How is the forefoot fit of the Kinvara 4 compared with the Virrata? Virrata is also snug, but I find the upper has more give so it’s more comfortable for me. Ran a marathon in the Virrata, would not attempt it in the K4. Good to know. My K3s are finally starting to feel broken in. With all the other shoes in rotation, I can stick with them for a long time. Seriously want a pair of those A6s. And the A5s when they go on sale. Weird that the A5s aren’t on sale; I swear I bought them over a year ago for under $65, but looking around I only see them for $90 or so. I wouldn’t have bought them if they cost that much! I’ve just recently acquired the 1400v2 in the hopes to replace the K4 with it. Since your reviews more or less coincide with mine I am hoping the New Balance will solve my K4 problem. I’m loving the sole of the NB. Indeed I have also experienced the numbness at the balls of feet, but I have always thought the cause to be a sloppy sole, since my foot isn’t particularly wide. I am wearing inijinji socks though. I found K3 to be fantastic apart from the too-high heel counter, and it was really a make or break situation to me and so I purchased the K4. On first try it was actually perfect, and the heel counter was flexible enough, but on further running (and I have done about 300km/185miles in them), I’ve realised that the sole gets really squishy and soft after about 20km. Also the upper material is really too soft and fragile. Thanks for the photo, that’s exactly where I expect the upper to fail with this kind of material. Shoe companies just need to stop using this kind of stuff. First 2 runs in K4 after loving all the others (1-4). I think i’m on my 8th pair of Kinvaras. The first thing I noticed was the new “powergrid” seems to slap the road more than the old foam. Noticeably noiser, and somewhat firmer. It shoudnt be a problem, but not the same cushy ride I had learned to expect. I did not have the forefoot issues as discussed as I don’t have a wide forefoot, and I run up 1/2 a size in all my Kinvaras. I still manage to run sockless in K4, which i’m happy about. Overall not disappointed, but also worried that Saucony will take this in the wrong direction. I blame the Suocony Kinvaras 4 for my ankle tendinitis. I wouldn’t consider them for a marathon. Ack! Nike syndrome. My Kinvara 2’s have tears all over and look beat up … but i still keep them to remind me how good a shoe can feel when it is right. Thanks for sharing the news — and hope you get to consult on version 6 next year! Why so much resistance to providing a wide toe box, not just from Saucony. I am grateful for the newer running shoe companies like Altra, Innov8 and Skora. This is such an obvious need for runners, that I am frustrated at the lack of concern in the running community. What up!! The big manufacturers stuck a toe into the minimalist waters, and some are pulling out and scaling back (e.g., Mizuno). In the long run this may be good for the little guys like Altra since they will corner the market for those of us who like a wider fit. Pete, same day I get your email on this, I was listening to you on a TRN podcast. Nice job, enjoyed the takeaways you provided! Can’t the concept of a wide toe box thrive outside of minimalist running? That is where I think a lot can be accomplished, as I think it is decidedly beneficial. Am I in dreamland again? Just did my first run in the 4s. Did not like them. It seems to me that the 3 and the 4 have quite a bit of pronation control, that prevents me from rolling the base of my big toe to ground contact. I like the 1st iteration of the Kinvara the best. Ran PRs in every race the year I started using them. Still running in some beat up pairs so I can remember how good they feel. If I were to tell Saucony, I would say make a shoe with the upper from the 3 and attach it to the sole of the K1. They would have a customer for life.. I would agree with that match being ideal – upper of the 3 and sole of the 1! Pete, I had a chance to test the prototype Ride 7’s at the Saucony headquarters in Lexington 2 weeks ago. 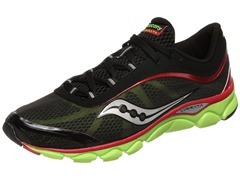 It is weird that you say the kinvara 5’s are moving to more of a trainer style shoe. I did not get to see the 5’s for myself since my wife did not come (they did not have the 5’s in my size to test, but did in hers). When I tried out the new rides, I thought the upper is moving to a more Kinvara style with less padding and the use of flexifilm. Maybe we can hope that people are confusing the 2 shoes. I do like the toe width of the rides more than the my Kinvara 3’s. I have not had to try the K4’s yet (I am on my last pair of k3’s). If the new rides lose enough weight, I may switch. I will just have to find a 10k-1/2 marathon race shoe since the rides are really soft. I have the new Guides and the fit is better on me than the Kinvara 4. What I heard about the Kinvara 5 was from John Schrup (linked in post) who works in specialty retail, but may just be a rumor. We’ll see! Yeah, I hate to say how much I enjoyed Running in the Ride 7’s. It is more shoe than I have run in on a regular basis in years. I really liked the upper and fit. I liked it so much I stopped and bought a pair of Ride 6’s to experiment with. They are really soft though, with be interesting when I do a speed workout in them. The 7’s seemed firmer, but I only ran 3-4 ,iles in them. And I heard that from a Saucony tech rep. He mentioned that the new Kinvara was going to change so I asked specifically if they were going more to the “trainer” side, and he said yes. He didn’t have any other info to offer when I prodded. I think the Kinvara has the potential to be one of the really great shoes, but as if often the case (with all brands and not just with Saucony), things get over-thunk. I am very, very excited to see the A6! The lack of durability was a big disappointment. After 100 miles my feet have blown out on the lateral sides of the left and right forefoot. The sole feels great but I agree, the upper is no bueno. I have been disappointed with the Kinvara 4 as well. The 3 was my favorite shoe, but I thought it was not wide enough in the forefoot. Then I bought the 4 and it was downright too narrow and almost uncomfortable. I can’t fathom how Saucony managed to make such a stupid change. Although, maybe they counted on the 2E model to cover the whole spectrum of preferences. More of the same! After happily running in the Kinvara 2 (2 pairs) and the 3, I had to pass on the 4. Darn you Saucony! I ended up buying the New Balance 890. It’s a little more shoe than I want, but the fit and comfort are amazing, it’s available in several widths, and the shoe is still very light and breathable. The traction is also very good. Perfect for longer runs and for runs on uneven or slippery surfaces. 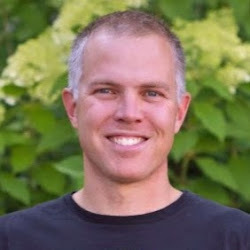 Pete – I love the site and your commentary. Your post is very interesting with this shoe and my recent issues with it. I loved the 2 and 3 versions for racing and training. I had no issues whatsoever. I am a heavy supinator that has worked towards fore/mid-foot striking to cope with peroneal tendonitis. I had no major issues with the peroneal for at least 2-3 years until this shoe (to be fair I also went to more minimal golf shoes too and I have also changed back). I got the updates and starting running in them at least 2 times a week. After 3wks to 1MO, I had major tendonitis that erupted. I stopped running in these shoes and went back to touch more cushioning and have no problems again. Did they also mess with the structure of this shoe? It feels as if the shoe is pushing me to the outside to correct over-pronation. Obviously, such would be a major issue for someone that is heavy supinator naturally. I seem to remember running times (or competitor) also mentioning this in their review of the shoe. I have since moved to the new Cortana and these not great either frankly as I felt cramping in the peroneal during a recent half. Any views on the above and the Cortana? I’m very glad I stocked up on Kinvara 3s after reading this! I completely agree with the original post. I put 500 miles on my Kinvara 3s, and I loved everything about them. Very light, low drop, great fit. I was so excited to try out the 4s. My old Kinvara 3s were size 13 so I ordered the 4s in size 13 as well. Sadly, when they arrived and I tried them on, my toes were completely squished together, and I had no room to even wiggle them. I didn’t even bother to run in them as I knew my feet would be a wreck after a few miles. Saucony has ruined this shoe for me and it’s a real shame because the 3s were such a good shoe for me. this is taroon from mumbai, india! really love your blog, thanks a ton. i currently own the kinvara 3s & gazelles and just ran my first full marathon distance (on a practice run!) in my k3s! seeing as the k3s seem to be working great for me, would you recommend i stick to them or maybe try a pair of virattas? if i do go for the k3s, do you have an update on the 25% discount code on shoes.com? i tried it but it says the code isn’t valid yet? hate to be a miser but its quite a saving, especially converted into rupees! I’m always an advocate of staying with what is working, particularly in your case given the difficulty of getting ahold of shoes. My guess is that the 25% deal at Shoes.com may have ended, but they almost always have some type if sale going on. Google shoes.com coupon and my guess us something will come up. The Virrata is a great shoe, but since it is zero drop it’s a bit different than the Kinvara. Could work better, could be worse, hard to predict. If you are ever looking for a store that will ship to you in India, I’d guess that Patton at Optimal Run would do it. Good guy! thanks for the quick response pete! will give both suggestions a whirl. as for the virratas, i think il stay away till i can try some zero drops on to see how they feel first. Has anyone tried a pair of wide width Kinvara 4’s. I was wondering before I ordered a pair. Also, it does not seem to be a shoe that stores stock the wide in. Hurrah! Did not make a mistake in buying Saucony Kinvara 3 just now! Has anybody tried the K4 in 2E width yet? It seems worth a try. I found your site when I googled about the Kinvara 4 making my feet go numb. I loved the 3s, but just got the 4s about 3 weeks ago and they are awful. I’m so disappointed in their quality, yet relieved to know it’s not just me. Is there a comparable shoe out there with a wider forefoot? I liked everything else about them (aside from relative durability), so these ones being too tight is a bummer. Maybe something like the Asics Gel Lyte33, Mizuno Hitogami, or Skechers GoRun Ride 3. If you can handle zero drop, the Altra The One2 is coming next month and is another good Kinvara alternative with a huge toebox. Thank you so much for writing this. It explains exactly what I’ve been frustrated about with K4. My favorite shoe ever was K2, I ran very well in that model. I disliked the K3, and took a chance with the K4, but you are so right – that material RIPPED on both shoes, right by my pinky toes within the first month, and I was only doing about 8-10 miles per week during that snowy month! I think I may have to switch shoes, sadly, after years of being a kinvara devotee. Thanks for your article. No problem Lauren! Apparently the K5 addresses this, we’ll see! almost bought a pair of K4’s on clearance at runningwarehouse, but after reading this, cancelled and got another pair of K3’s. Curious – for someone who has loved their K2/3’s – what would you recommend for a very similar shoe…if I can’t travel down the Kinvara line anymore, I’m going to have to experiment again (ugh!). Kinvara 5 is coming any day now, and supposedly that fit issue has been addressed. Hope to have a pair soon. You could try something like a Skechers GoRun Ride, NB 1400v2, or maybe one of the Brooks Pure shoes. Great review of these shoes and so glad I read it! You mentioned your wife’s foot condition., and I suffer the same – have bought and returned more pairs of shoes than I can count. I wondered if you would mind sharing any brands and models of shoes that she has found comfortable. The pain I get in my toes is crippling when they feel squeezed and I limp for a few days afterward. My wife has done well with Hoka Bondi’s and Altra Torin. The Altras in particular have a nice wide toebox. I’m a couple years behind the current Kinvara, always buying old versions for cheap. I’ve gone through 8+ pairs of Kinvara 2s and 3s and my newest 3s are getting pretty tired so I’m looking to upgrade to 4s. Disappointed to read this latest review, but for $45 shipped, I’ll try a pair. Not sure if I need a wide toe box and I’m hoping the same size I’ve been wearing in the 2s and 3s fit (size 11). This product is called Shoe Armour and prevents toe holes in running shoes. I had this problem with all my running shoes. Now I use this product and I don’t get holes anymore! Man, if you didn’t like the 4 you must hate the 5! The 4 is the best running shoe I’ve worn. The 5 is something from the Spanish Inquisition. I was airborne infantry in the 1980s using surplus combat boots from the Korean war so I know about foot torture. The 5 should be enough to put Saucony out of business.